CryptonHome offers textile solutions that are stain, moisture and odor-causing bacteria resistant – perfect for pet owners! Want to protect your furniture and car’s back seat? Check out The Throver, a durable, elegant product that’s soft, comfortable and stylish like a blanket, but protects your sofa or car seat like a tarp. Taking your pets for a car ride? Place the Throver over the backseat to keep your upholstery dry, in case your pet has an accident. The Throver comes in a variety of prints, with exclusive patterns from dog photographer William Wegman and is priced at $99. More information about the Throver, and other CryptonHome pet products, like pet beds, can be found at cryptonathome.com. 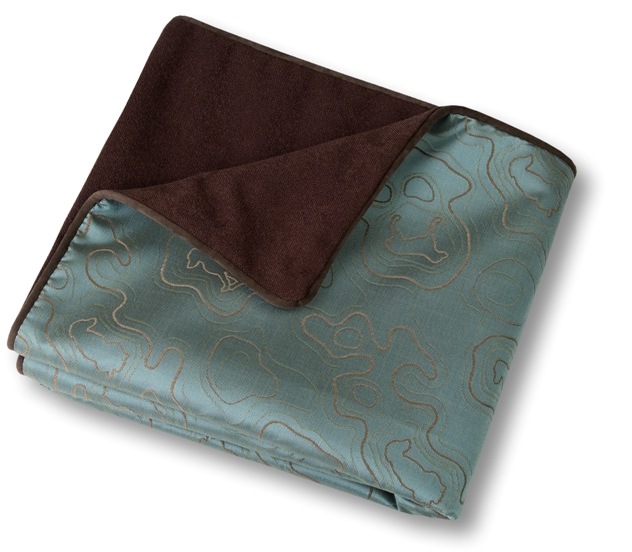 Today’s giveaway winner will receive a free Throver stain resistant pet throw by mail. As always, only those in our e-mail list are eligible to enter, and if you’re not subscribed, you can fix that in five seconds by clicking here. When your first daily digest e-mail arrives, hit reply, type the words “contest entry” in the subject and send (current subscribers can reply to today’s digest). We’ll use random.org to select winners, who will be notified by e-mail. Entries will be accepted through midnight Wednesday: please note that this contest is open to residents of the US only. what an awesome throw! thanks! I saw one of these last week at my local Winner’s.